Back in what feels like a lifetime ago, Pete and I started thinking about where we could move to in order to start saving to buy a house. It was 2009 and we spent a sunny weekend afternoon with my colleague and his girlfriend exploring southeast London from Brockley to Forest Hill. It was lovely but I cried bitterly when we got home to our flat in Hammersmith saying that I couldn’t imagine a life outside West London and I wasn’t ready to go. I thought it might be fun to champion some of the local areas, businesses, creatives, hang-outs, restaurants, cafes in a South London Showcase since we’re so passionate about the area we live in and exploring locally and so to kick us off, I present Vintage Matters based in Camberwell to tell us a little bit about themselves and why they love Camberwell so much. 1) Who are Vintage Matters? Vintage Matters is the brainchild of sourcing & merchandise specialist, Paul Cody and creative designer and interior architect, Tom Edington, who live in Camberwell, South East London and it is their shared passion for vintage homeware, typography, architecture and well-designed product that has shaped Vintage Matters. Our aim is to help curate a unique personality for your home or business, with an eclectic mix of product, both vintage and new, that happily sit alongside each other. We enjoy the excitement and anticipation of finding characterful pieces on our travels, then taking those pieces and curating them with new product to bring an environment to life. 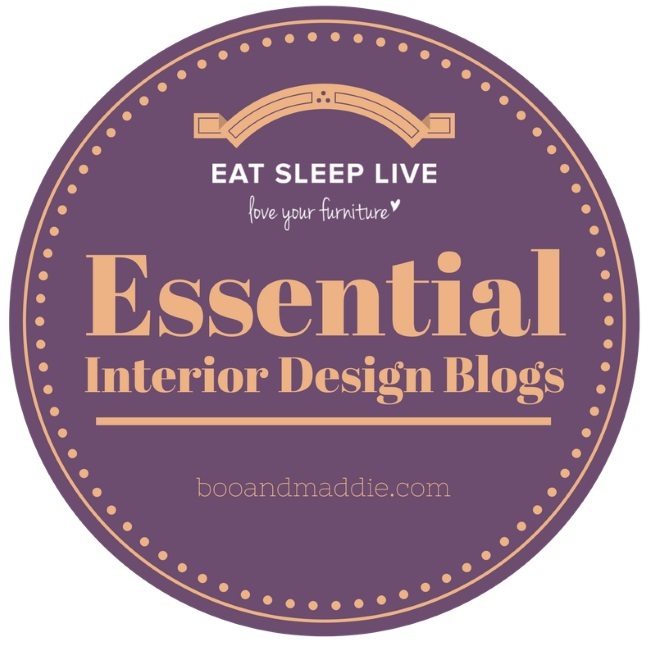 We are working in the commercial sector supplying designers, retailers, restaurateurs, hoteliers and set designers with vintage furniture and accessories, as well as curating ‘Collections’ for our online store. 2) Why did you choose to set up your own business? I had worked for over 20 years with a specialist American homeware retailer, called Williams-Sonoma, who also own Pottery Barn and West Elm (who have a store on Tottenham Court Road in London), managing their UK Office. We worked with various suppliers all over Europe, sourcing homeware and working on product development, as well as buying antiques and vintage pieces for the stores. In November 2014, the decision was made to close both the UK and French offices, which gave Tom & I the platform to launch Vintage Matters, something we had been talking about for a while. 3) Tell me 3 things you love about Camberwell. – Burgess Park! Transformed in 2012, it is now a lovely large green open space in Zone 1 and caters for many activities, including tennis, table tennis, a BMX park, a large lake and a BBQ area. It is particularly well looked after all year round with great displays of plants throughout the seasons and has really become a community park for all ages! 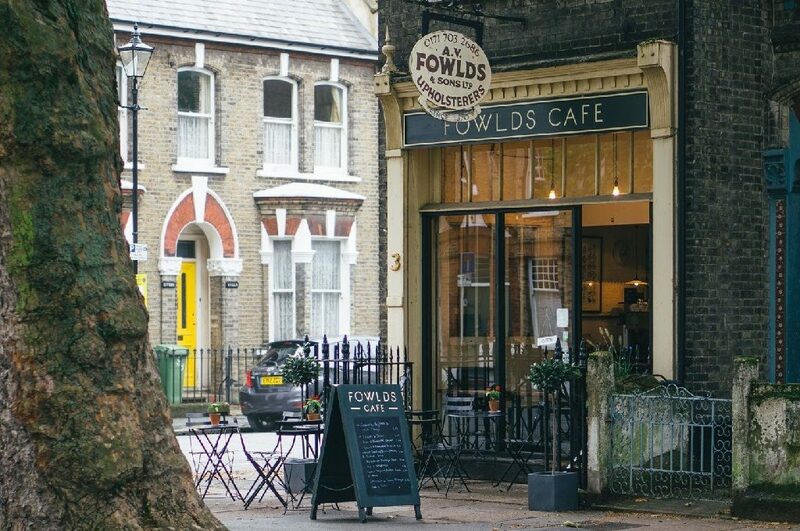 And very close by, just off Addington Square is the small but cosy Fowlds Cafe, serving great food and coffee. – The mix of architecture. There are are many well-preserved Georgian and Victorian houses and leafy streets in Camberwell, which we particularly like, including the Grosvenor Park Conservation Area (where we live), Camberwell Grove and Addington Square. Parts of Camberwell have been run down in recent years, but are now seeing signs of gentrification, which is exciting to see how it will develop! 4) What advice do you have for people looking to start a business? Do your research first, have a plan and try to stick to it! Be patient, which is hard sometimes, but work hard and diligently and the business will start to grow. 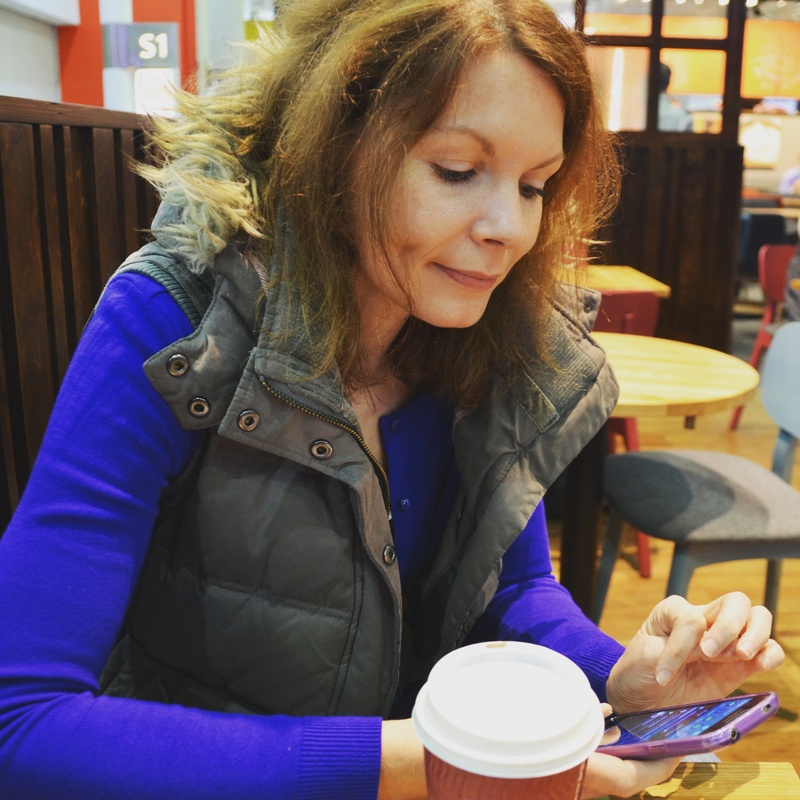 Spend time working on the social medias channels, or focus on just one, as this will really help get your name or brand into the marketplace. 5) Where can we find Vintage Matters? Vintage Matters is currently only online at www.vintagematters.co.uk, though we do have 2 pop up events planned for later in the year with West Elm who kindly host us (www.westelm.co.uk) from Thursday 29th September – Sunday October 1st. We are currently looking for a retail space ideally in Camberwell where we can have our first store to showcase our collections of various products. 6) What inspires you to source the pieces you do? Today’s consumer has so much choice, it often limits people’s creativity, which is why Vintage Matters have chosen to compose ‘Collections’ of products that compliment each other, offering a limited number of collections at any time. You will still be able to shop from our ‘Past Collections’, but we want to continually surprise and delight you with our new finds. We want to create an engaging platform that is constantly evolving, to keep people and businesses inspired. Our latest collection was inspired by an old periodic table that we found and we curated a science laboratory collection around that, which is bang on trend for interiors right now. 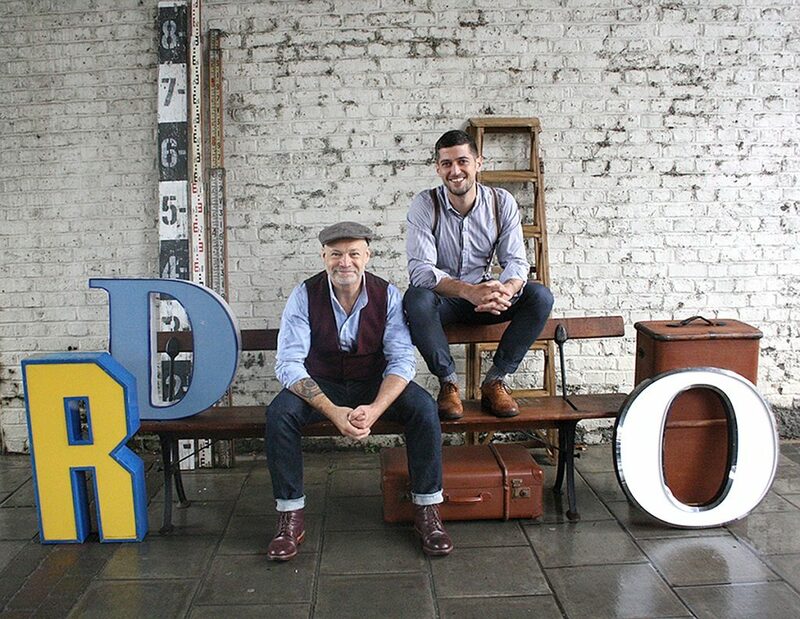 We also specialise in vintage letters and letter lights, salvaged from shop fronts and pubs and have now become one of the largest retailers, with more than 150 available online. Our customers really connect with these as they are so personal. Our vintage letter lights are hugely popular, but they generally come to us in a very run down state, so we start by giving them a really good clean, removing all the old neon tubes and wiring and then reconditioning them with LED’s and a new UK 3 pin plug. 7) What are your future plans for the business? Thank you so much to Vintage Matters for featuring in my South London Showcase. All images courtesy of Vintage Matters. 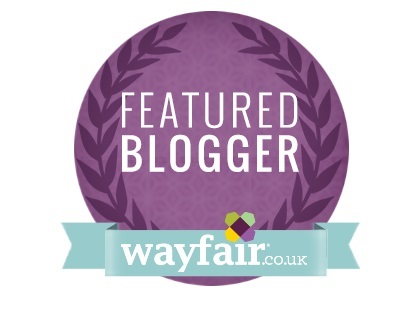 If you’d like to be featured then please get in touch. 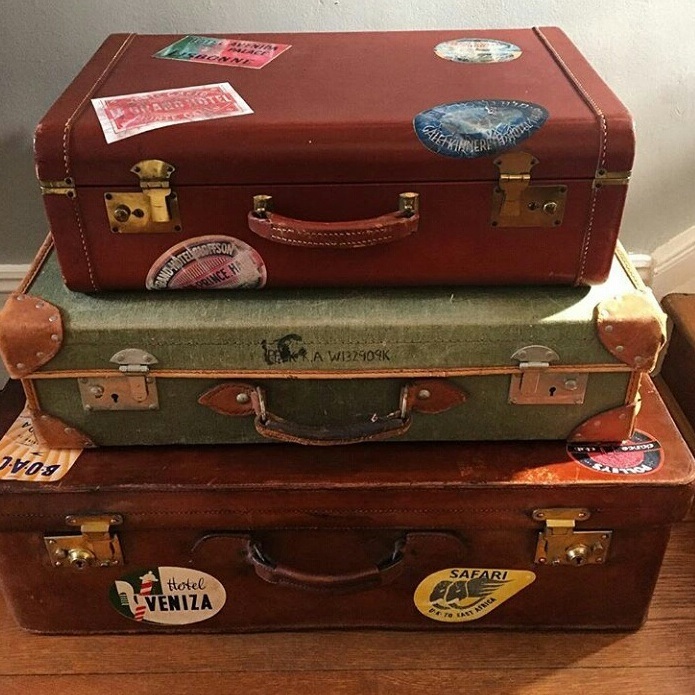 What an interesting post Lins – thank you for sharing Vintage Matters. Love it! 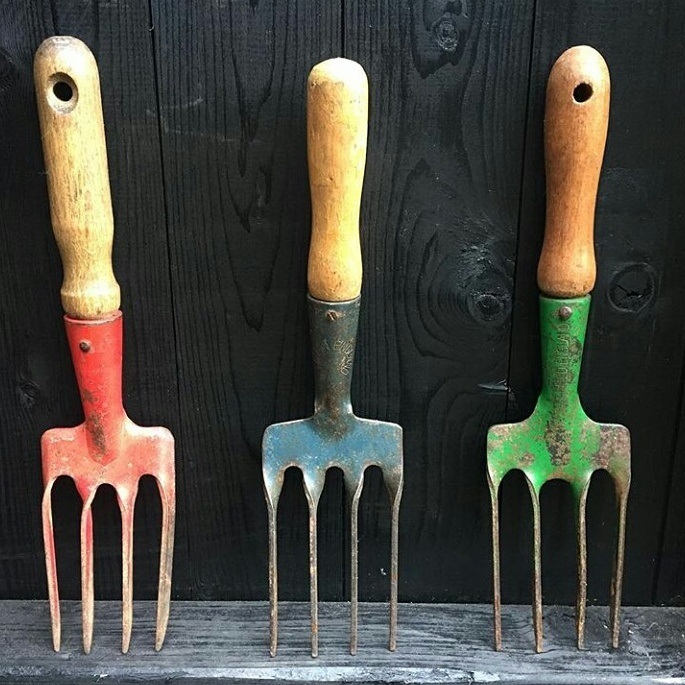 Those beautiful gardening forks are so pretty they’d make a lovely wall hanging! !